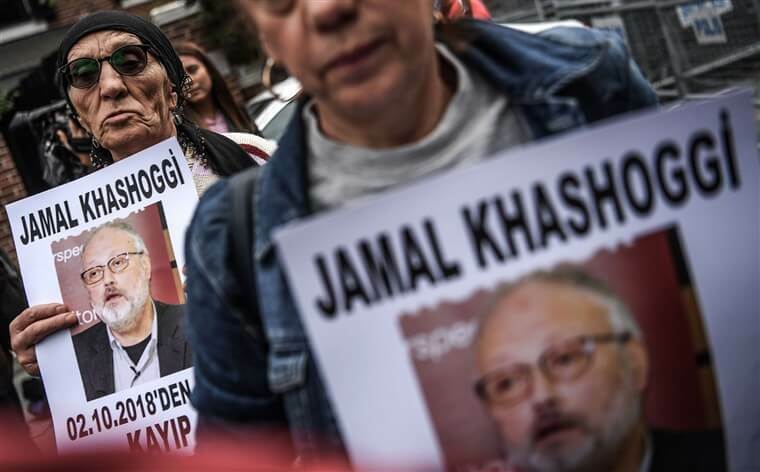 New Delhi: Saudi Arabia on Sunday rejected any international threat and “attempts to undermine it” following the disappearance of Saudi journalist Jamal Khashoggi after he visited the Gulf kingdom’s consulate in Istanbul, earlier this month. The Saudi Arabian Embassy here shared a statement issued by the country’s Foreign Ministry stating that it has played a prominent role “in achieving security, stability and prosperity of the region” without any mention of Khashoggi’s name. “An official source stated that the Kingdom of Saudi Arabia and from its leading position in the Arab and Islamic worlds has played a prominent role throughout history in achieving security, stability and prosperity of the region and the world, leading efforts in combating extremism and terrorism, enhancing economic cooperation and consolidating peace and stability in the region and the world and it is still working with brotherly and friendly countries to promote these goals, basing all of this on its own status as a platform of revelation,” the Saudi Foreign Ministry statement said. “The kingdom affirms its total rejection of any threats and attempts to undermine it, whether by threatening to impose economic sanctions, using political pressures, or repeating false accusations that will not undermine the Kingdom and its staunch positions and Arab, Islamic and international status, the outcome of these weak endeavours, like their predecessors, is a demise,” it stated. It said that the government and people of Saudi Arabia “are steadfast, glorious as ever, no matter whatever the pressures and circumstances might be”. “The Kingdom also affirms that if it receives (sic) any action, it will respond with greater action, and that the Kingdom’s economy has an influential and vital role in the global economy is affected only by the impact of the global economy,” the statement said. US President Donald Trump had warned on Saturday that his administration could severely punish Saudi Arabia, a key ally of Washington, if the kingdom was found responsible for the disappearance and possible murder of Jamal Khashoggi inside the Saudi consulate in Istanbul on October 2. Earlier on Sunday, the Saudi stock market plunged nearly seven percent amid fears of imminent US sanctions. Before Saturday’s comments, Trump had been reluctant to criticise Saudi Arabia and had said on Thursday that he was against cancelling the $110-billion US-Saudi arms deal over the journalist’s disappearance. The possible murder of Khashoggi, a US permanent resident in self-imposed exile who had written critically against the Saudi monarchy, has generated a far stronger international backlash against the kingdom than the ongoing Saudi-led war in Yemen, which has caused widespread famine in the already impoverished Arab country.